The collective noun for a group of warblers is quite apt: a "bouquet" of warblers. 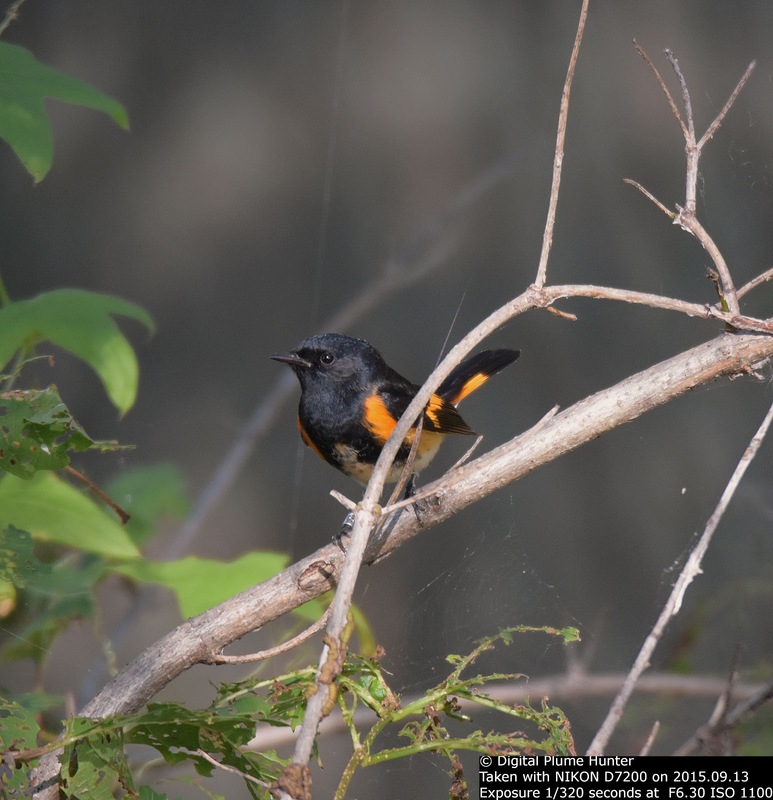 And, having been blessed with the presence of these delightful "bouquets" over Spring and Summer, we now congratulate our neotropical guests on their breeding success and wish them godspeed and safe passage to their winter homes as they undertake their southbound migration. 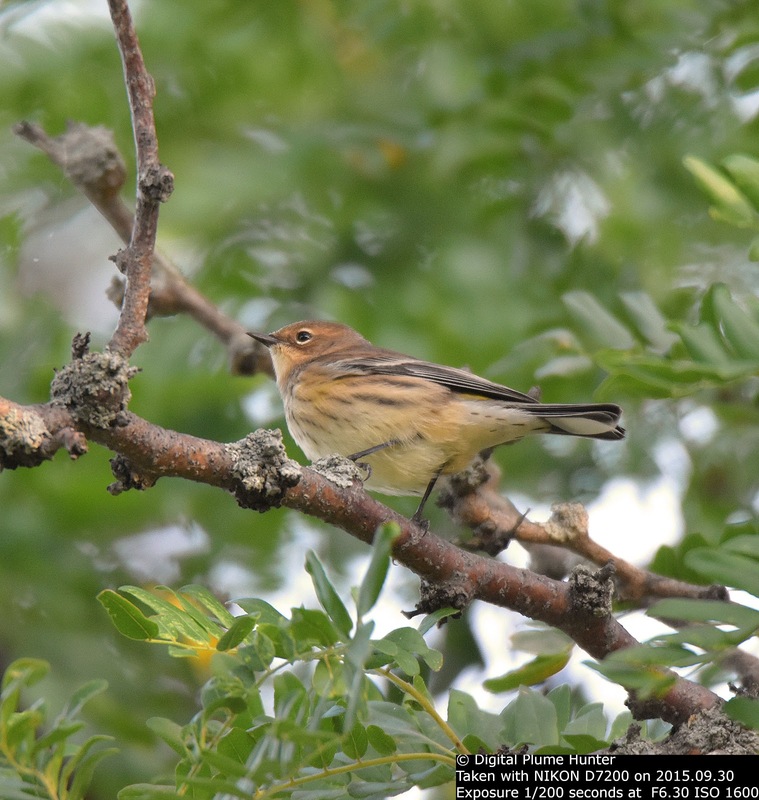 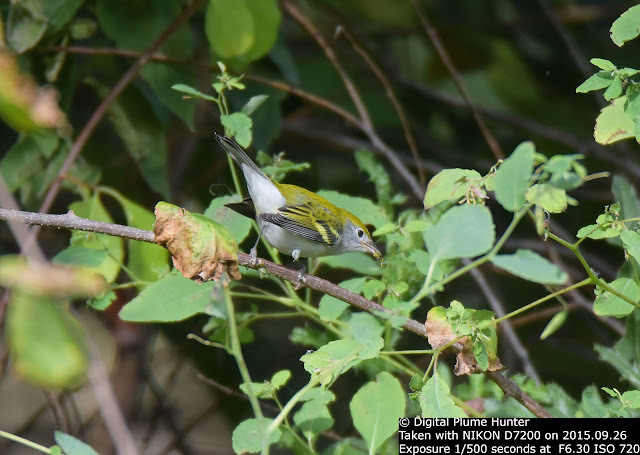 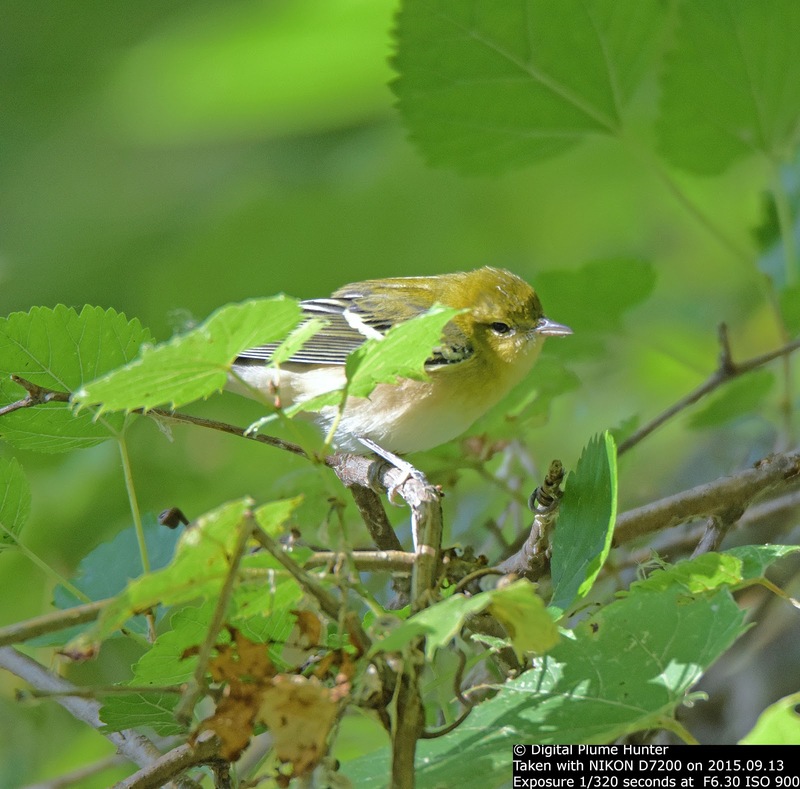 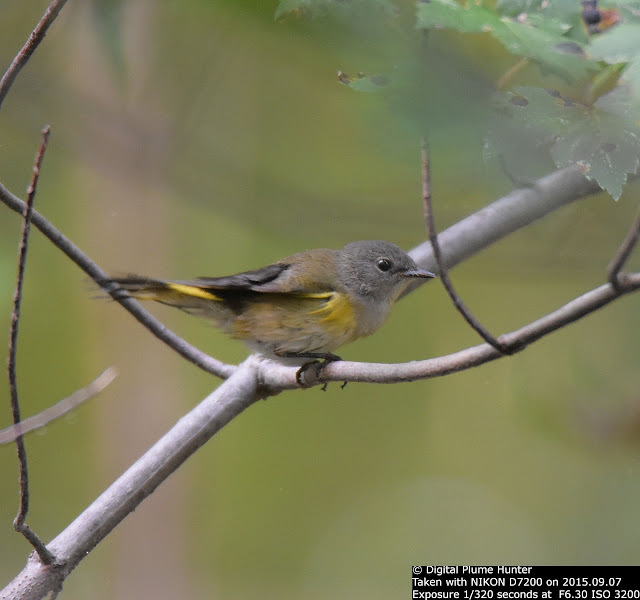 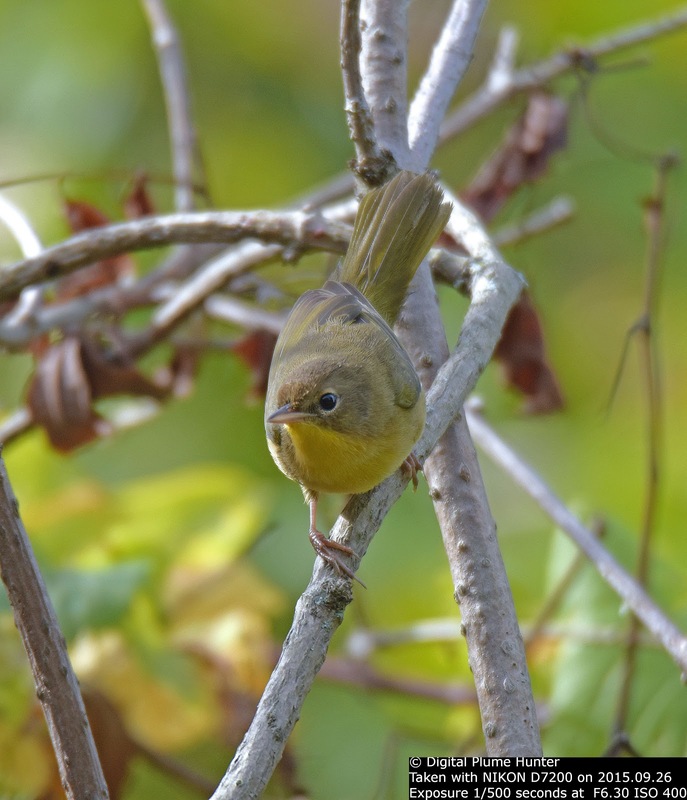 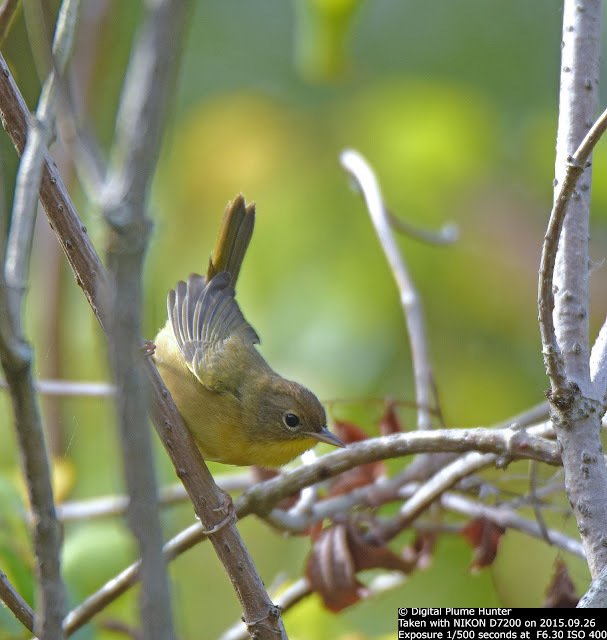 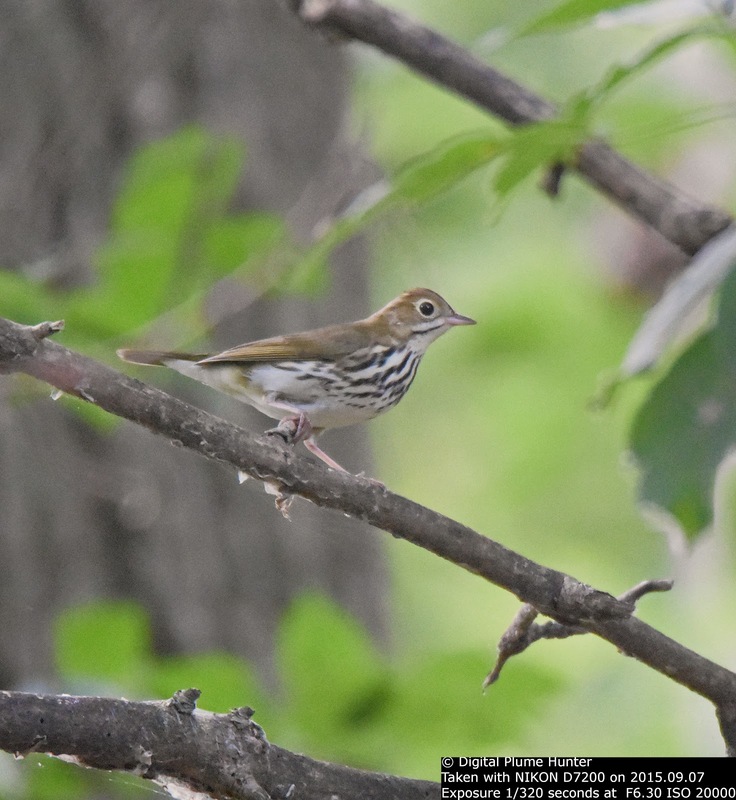 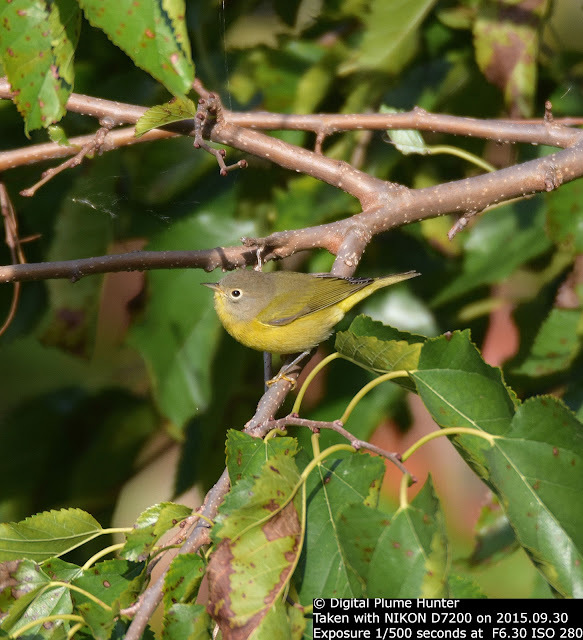 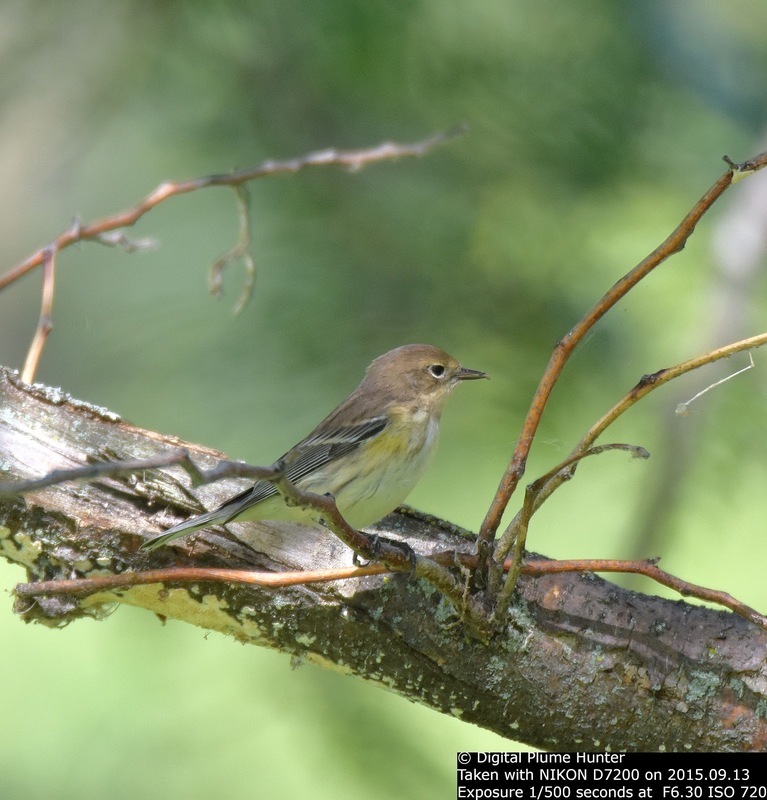 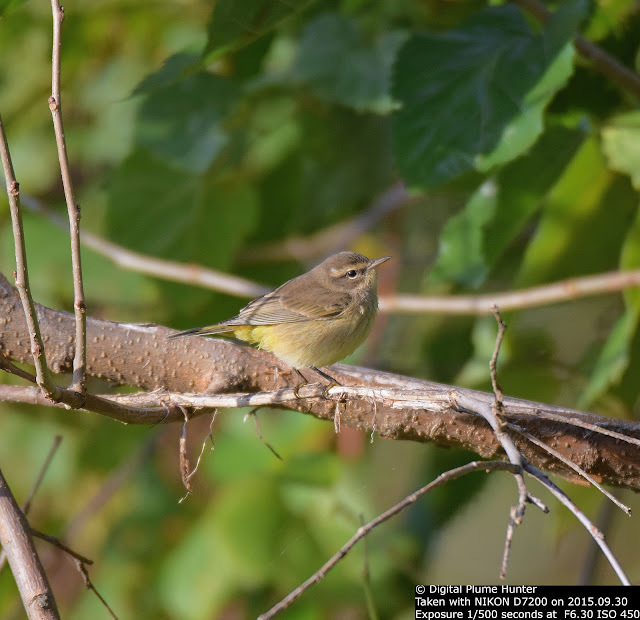 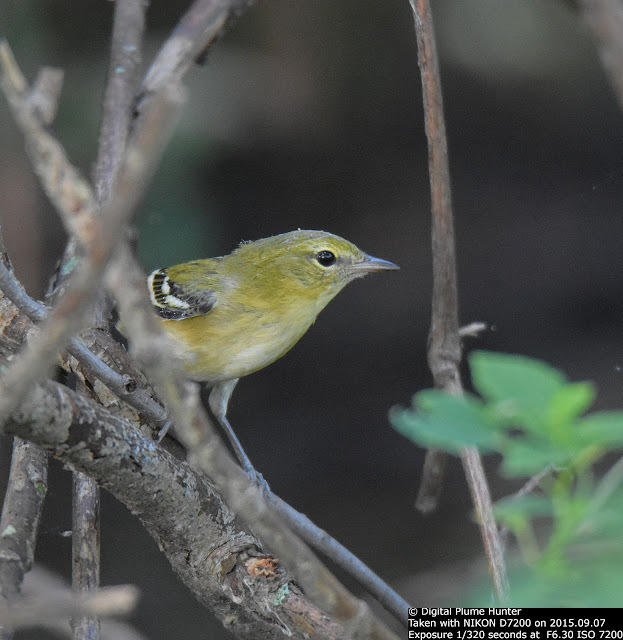 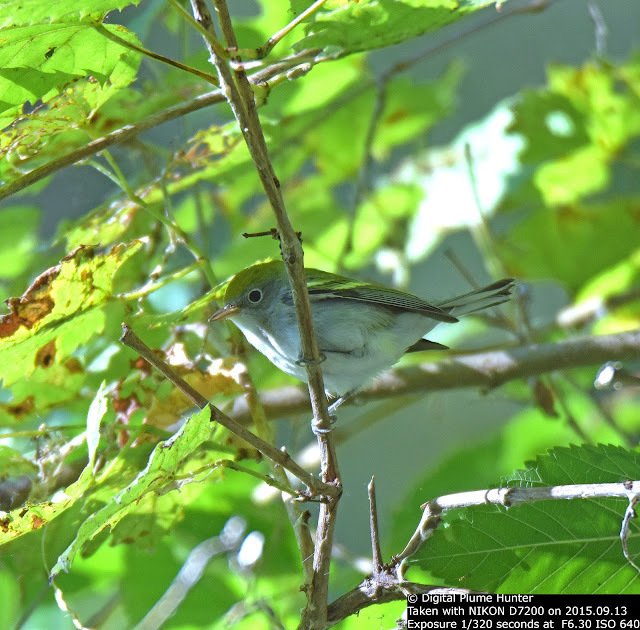 Lake St. Clair offers habitat of woods and marshes affording an opportunity for these warblers to refuel on insects as they build up their energy reserves for a long distance journey to Central and South America. 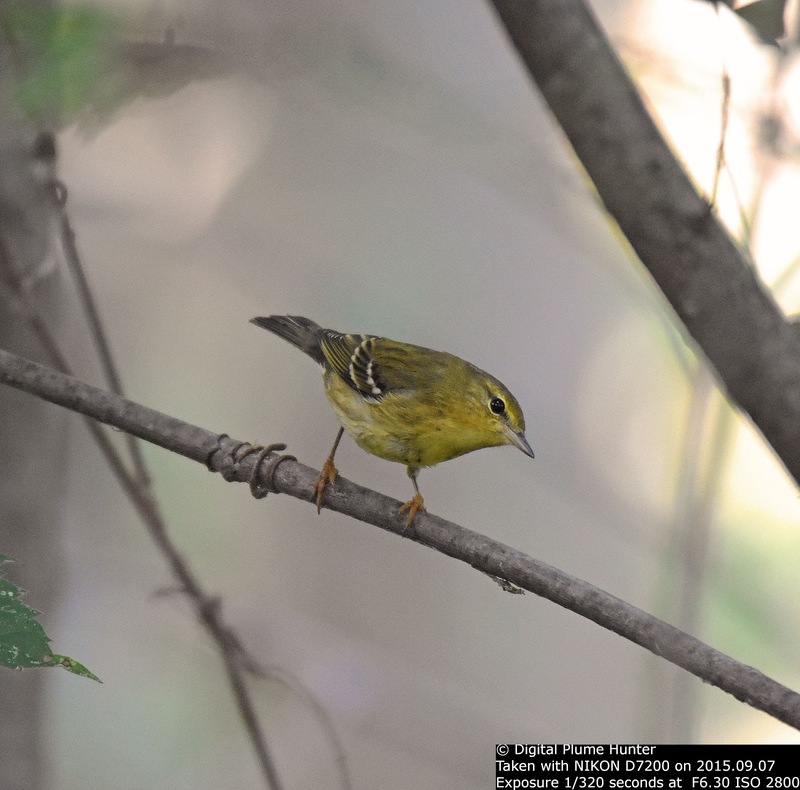 Geolocators on these tiny birds, weighing just two quarters, have shown in a study published this year that they can travel 1,700 miles (that's like driving from New York City to Denver) non-stop! 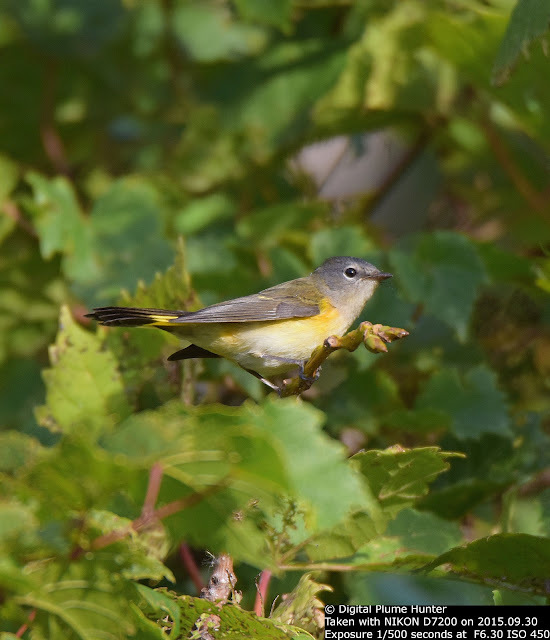 Truly a herculean, if not miraculous, feat of stamina and instinctive navigation. 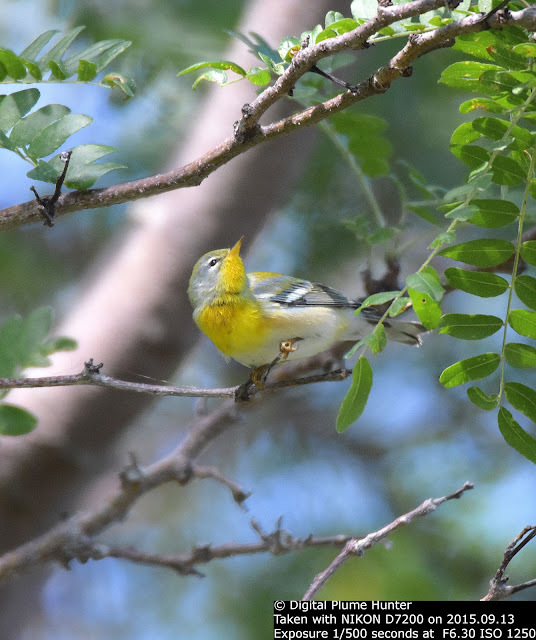 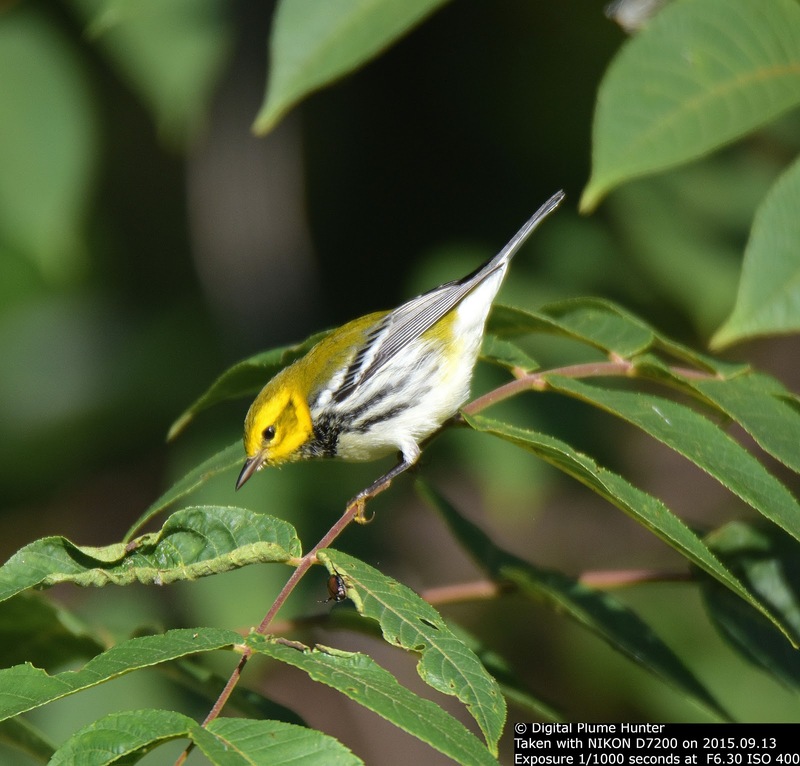 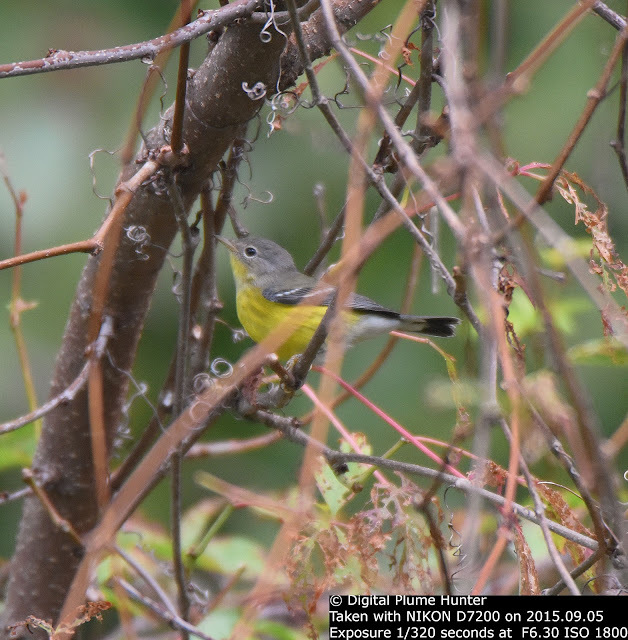 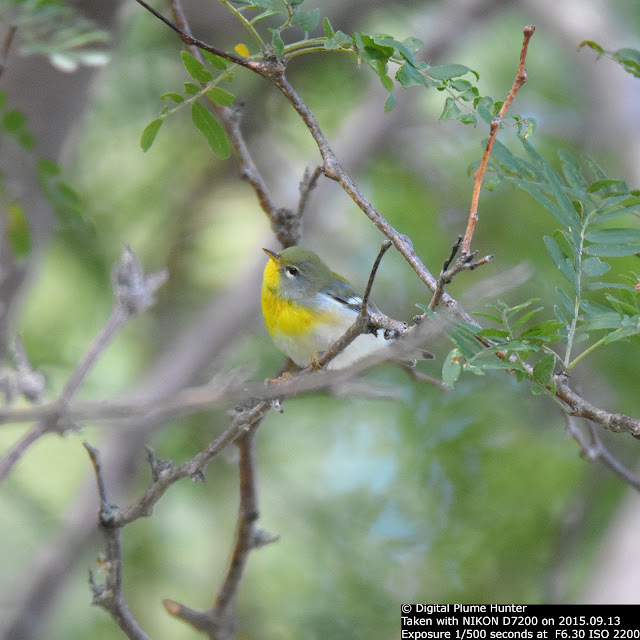 Not only are our warblers strikingly colorful and musical, but when we look at their achievements in migration, they are also undeniably strong, determined and incredibly skillful. 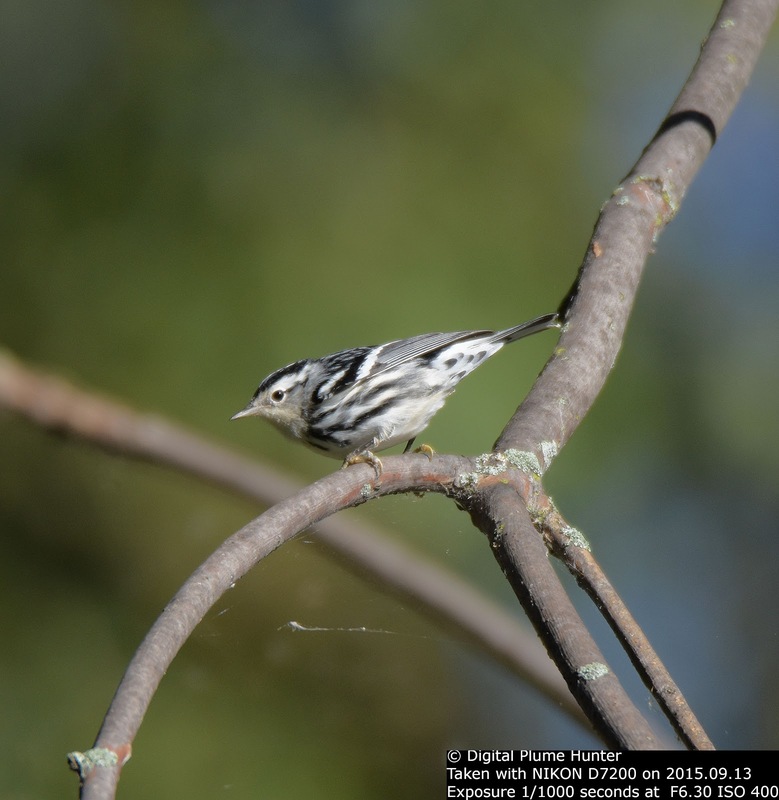 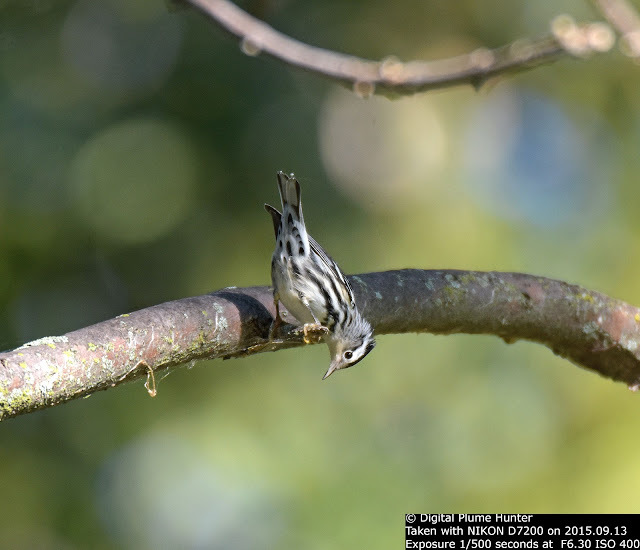 Superlatives that are well earned by species such as the Blackpoll and other warblers seen in passage at Lake St. Clair. The Colorado Gold Rush from 1858 to 1861 was the greatest gold rush in American history -- attracting 100,000 men to engage in a frenzy of prospecting about 85 miles from Pike's Peak in the Rockies. 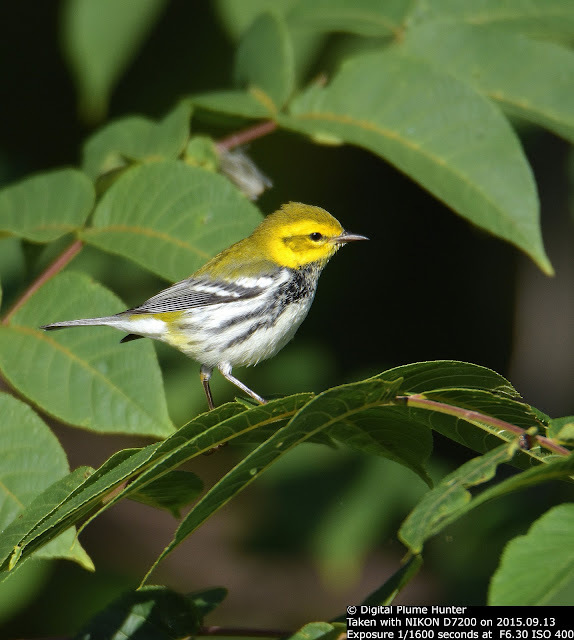 This resulted in not only the production of over a million ounces of gold (worth over $1B in today's prices!) but also the establishment of the new towns of Boulder City and Denver. 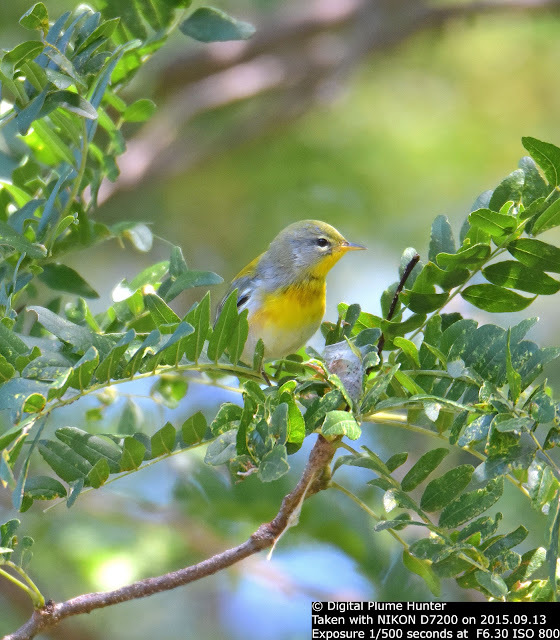 And, today, long after the rivers and mountains have been exhausted of the yellow metal, gold can still to be found in Colorado -- but of the feathered variety. 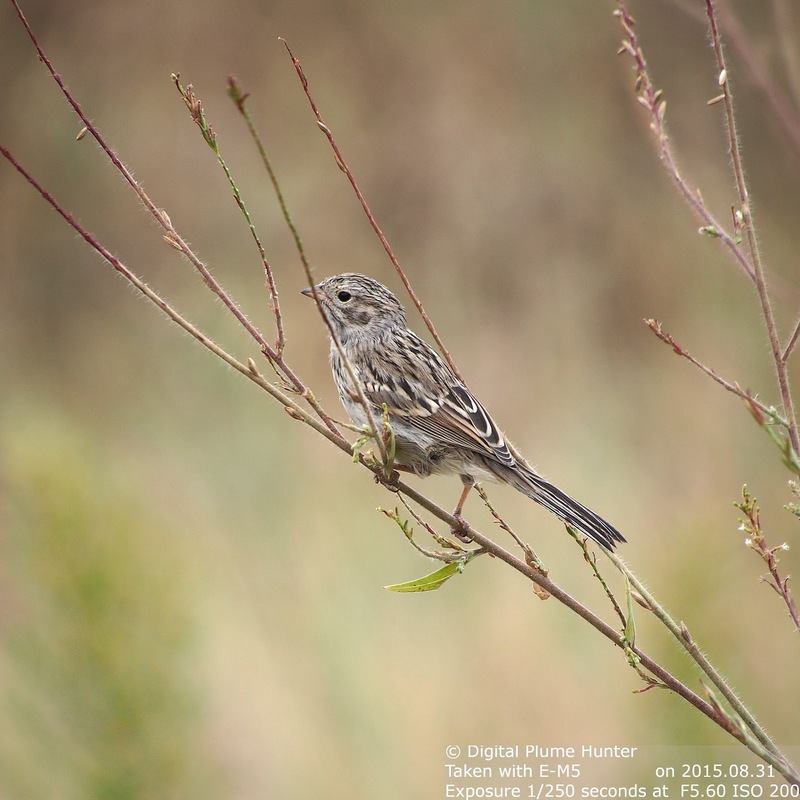 Vesper Sparrow is found coast to coast in the US. Although named for its behavior of singing in the evening, this beautiful and heavily streaked, grey-brown sparrow has a preference for open spaces. 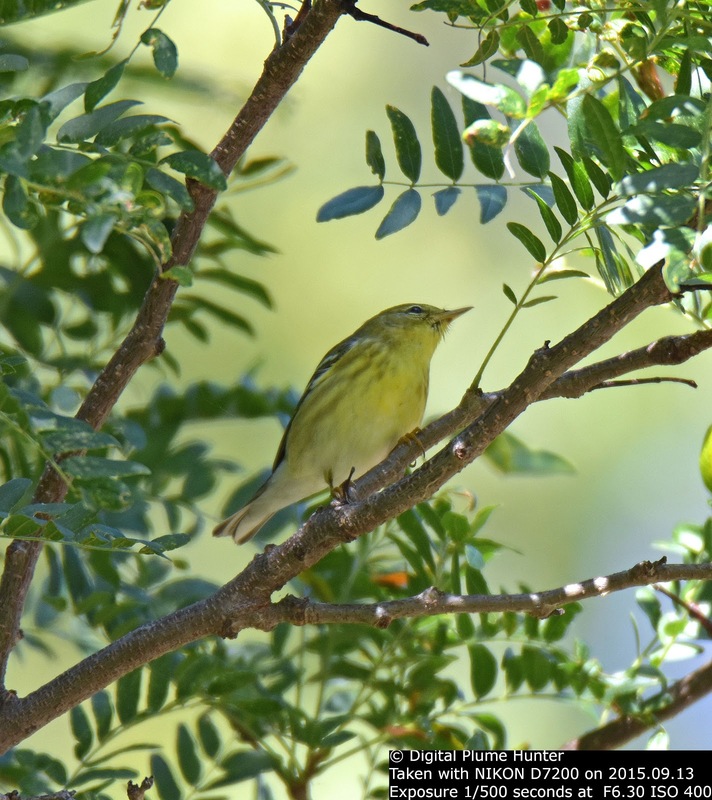 It is precisely for this reason that the Vesper's numbers are declining -- as a direct consequence of loss of habitat and modern farming techniques. 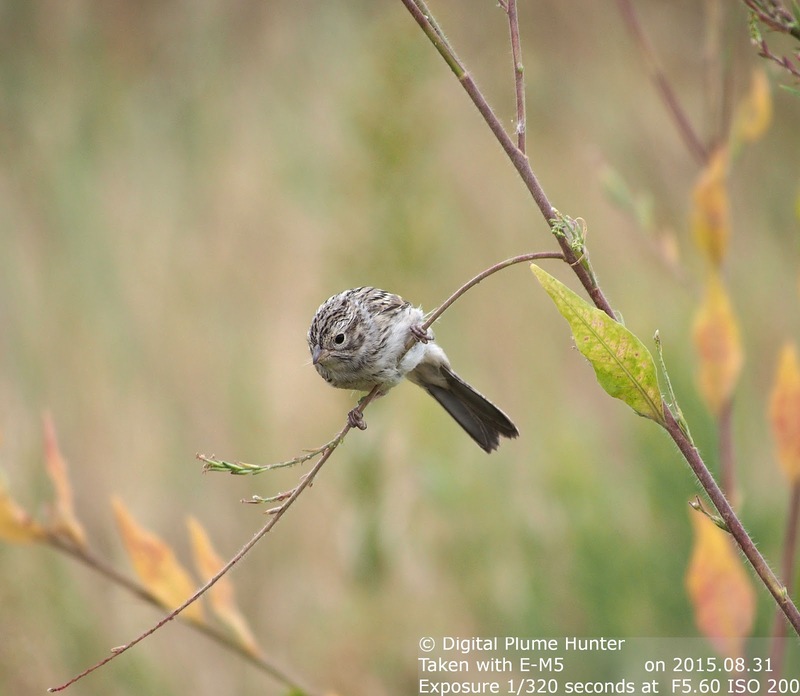 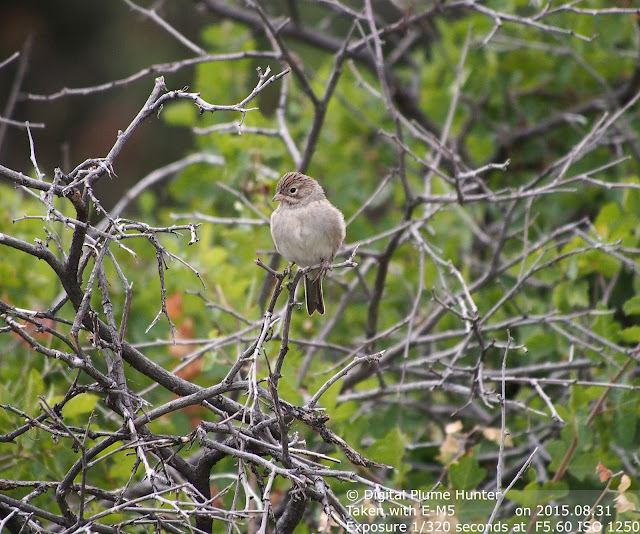 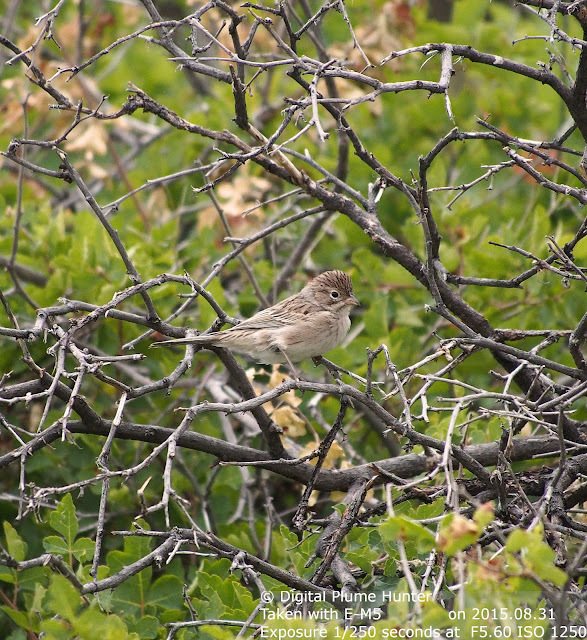 Vesper's Sparrow has been seen before on this blog -- for example, here in Kirtland's Warbler territory. Our next sparrow is Brewer's-- unlike Vesper's, this sparrow is restricted to the Western US. Brewer's Sparrows in the US thrive in sagebrush habitat; in Canada, a different subspecies lives in mountainous habitat at treeline. They will winter in Arizona (eg., at Sabino Canyon) south to Mexico. 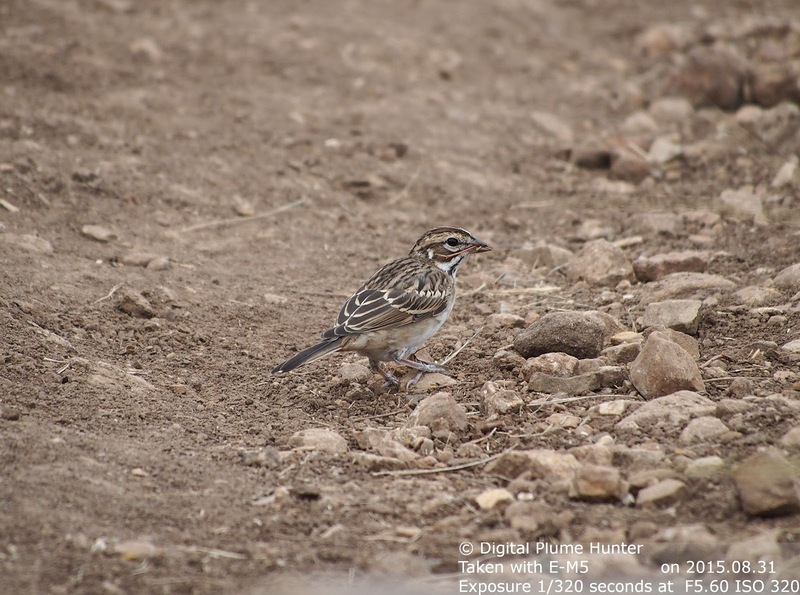 Not only is Lark Sparrow distinctive looking but, as the sole member of its genus, it also exhibits some unique behaviors -- especially in courtship where the male struts like a turkey. 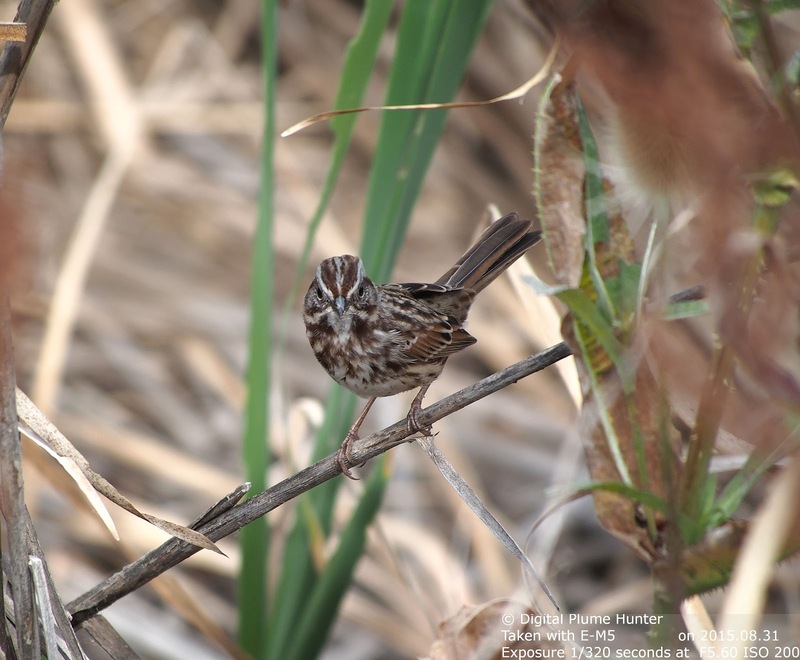 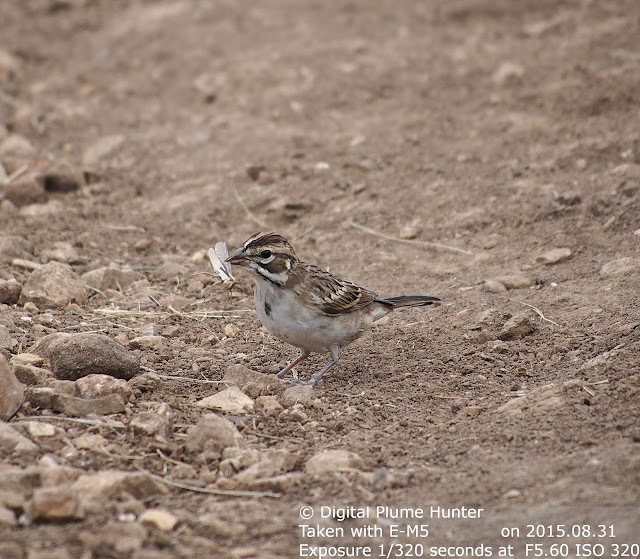 Song Sparrow seen in Boulder Co. The Western race, as can be seen here, shows more grey in the overall color scheme. 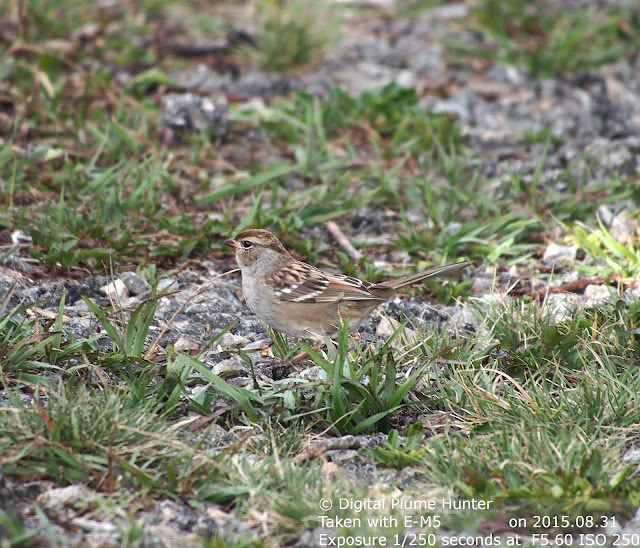 American Tree Sparrows do not breed in the lower 50 US states -- preferring Alaska and Canada for their nesting grounds. The individual above was part of a flock that must have arrived for the winter. 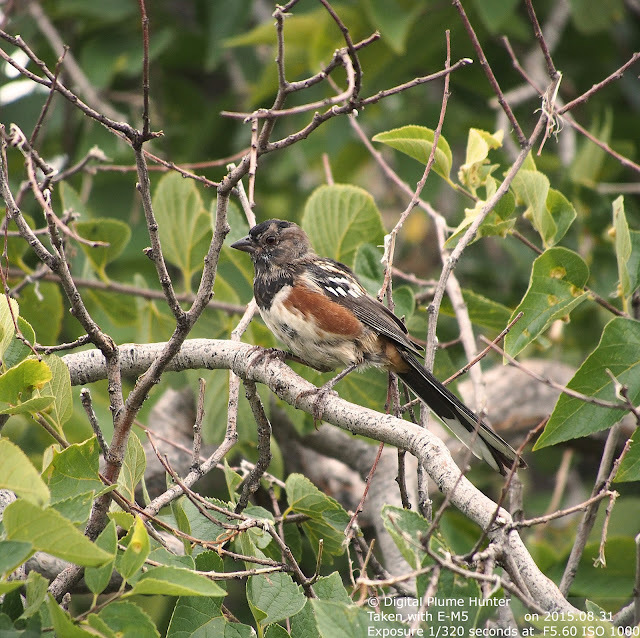 Spotted Towhee seen at Rabbit Mtn. This large sparrow is commonly seen in thickets across the West and resembles our Eastern Towhee. 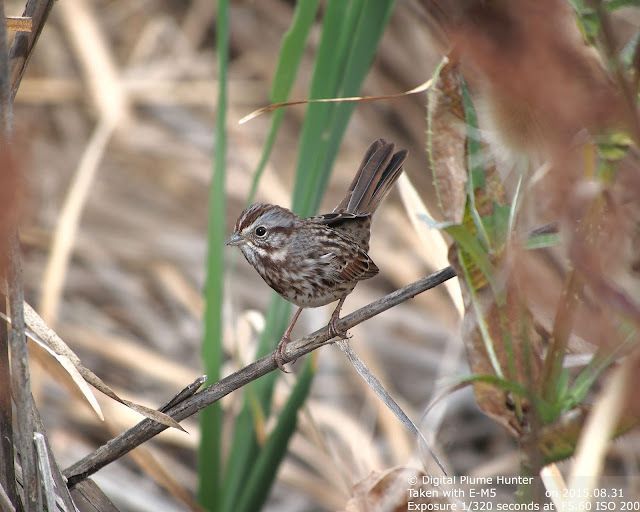 The Colorado Gold Rush is but a mere footnote in history -- however, birders to the state can still enjoy prospecting for a treasure that lives on -- the rich and varied birdlife of the region that warrants attention from the intrepid birder -- an argument so aptly attested by these six special sparrows. 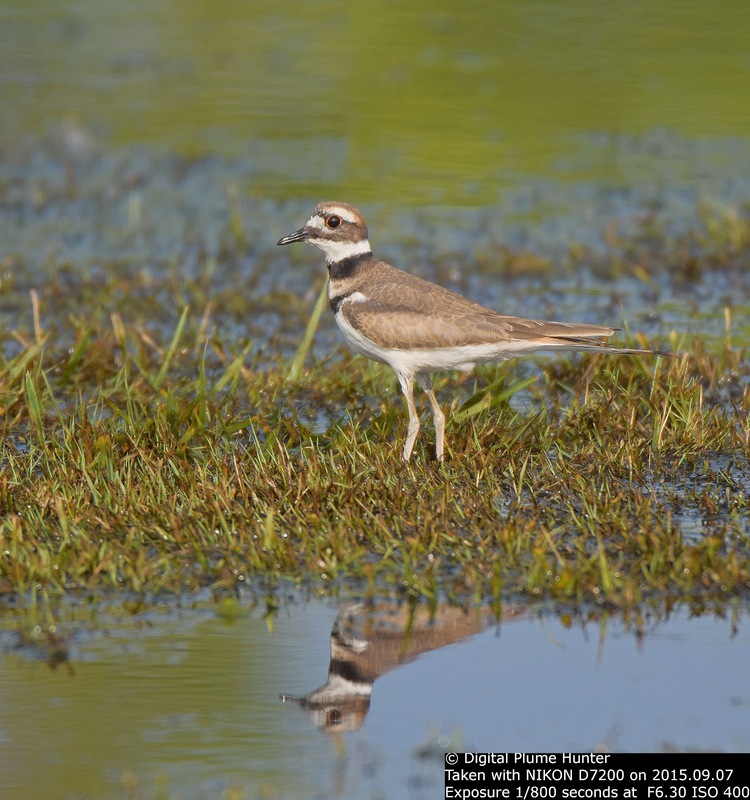 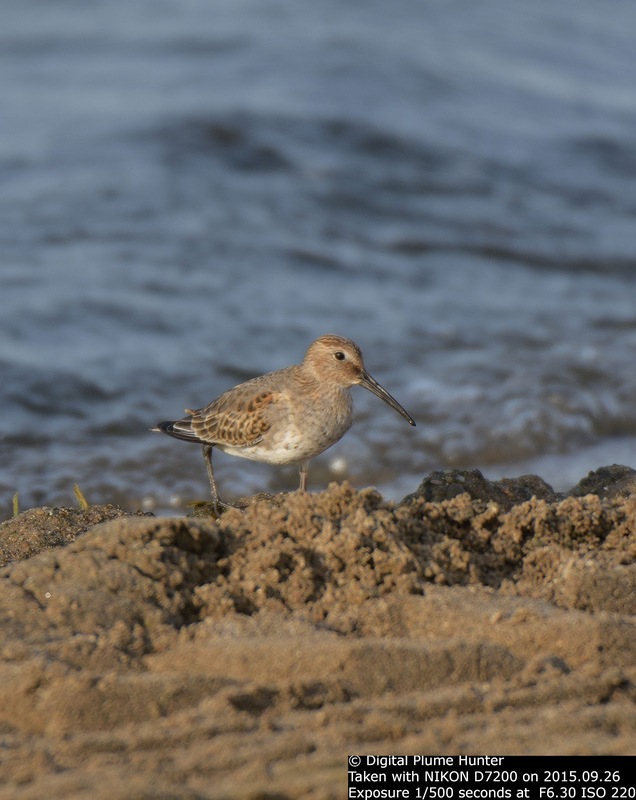 If Summer belongs to our songbirds, then surely shorebirds rule the Fall. 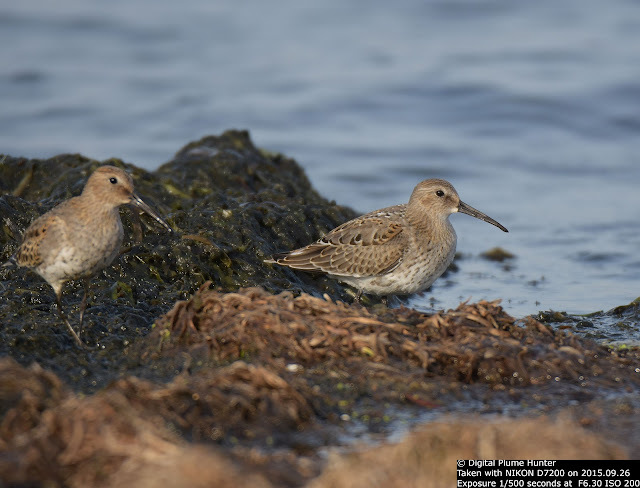 Taken together, these two avian groupings offer a study in contrasts. 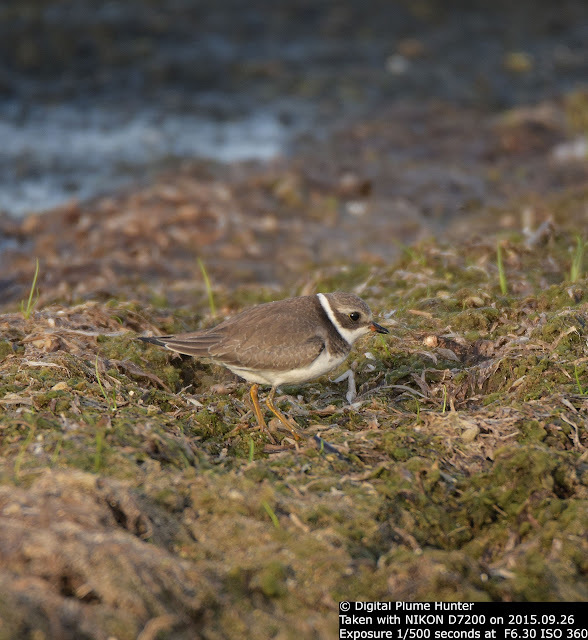 For example, while songbirds provide many identification clues including brilliant plumage and mellifluous song; shorebirds appear mostly monochromatic and their vocalizations seldom surpass simple toots and whistles. 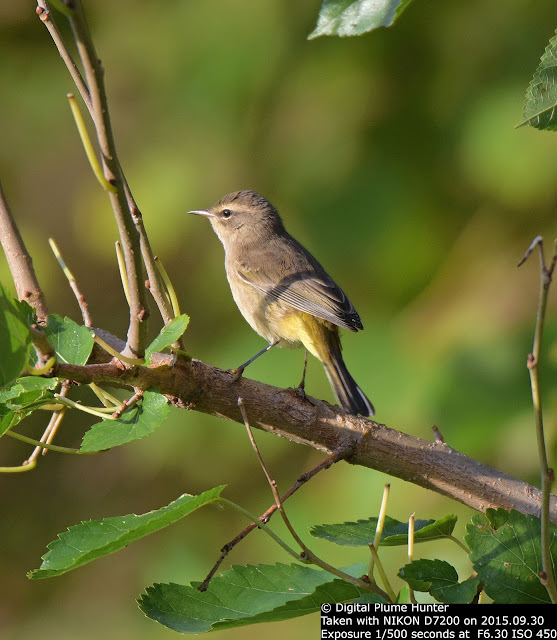 And, when it comes to food, songbirds are content in gleaning leaves for insects and fruit in woods and forests, while Shorebirds scurry along on mudflats or comb through grassy fields probing the soil for food. 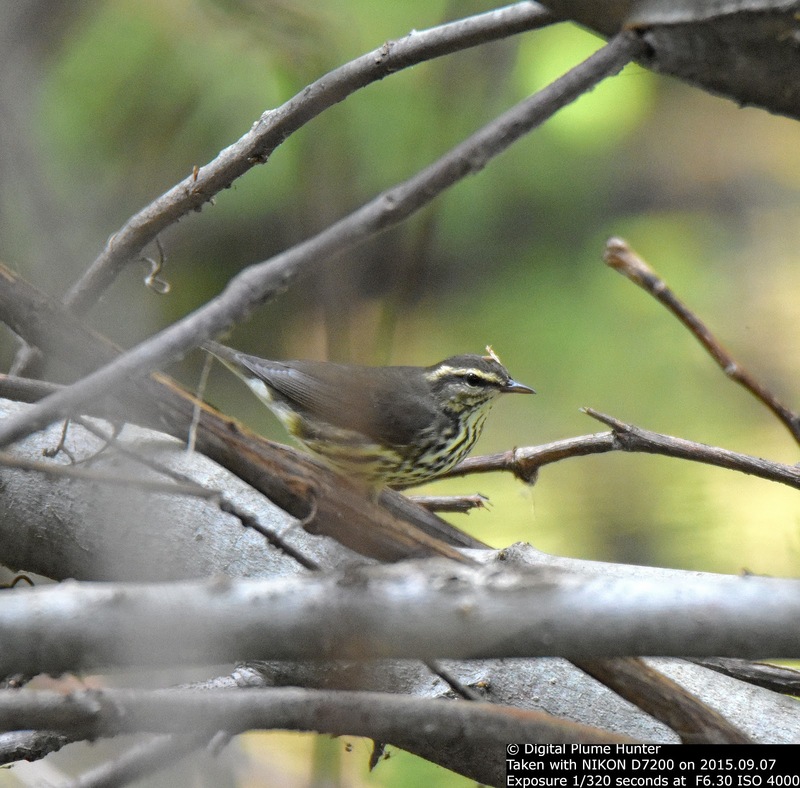 Two groups of birds that could not be more different. 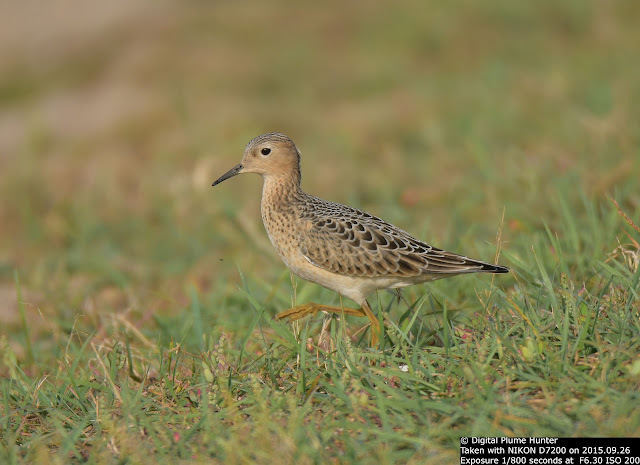 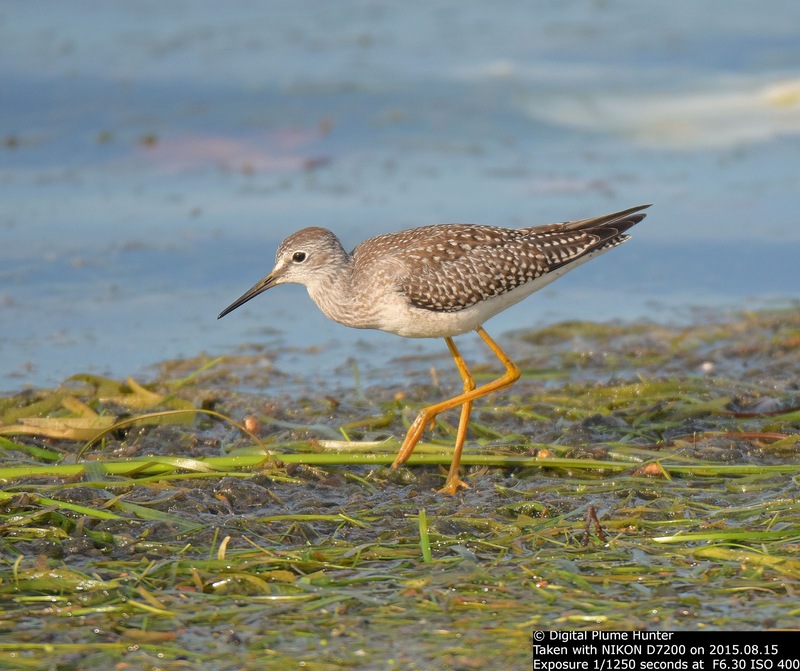 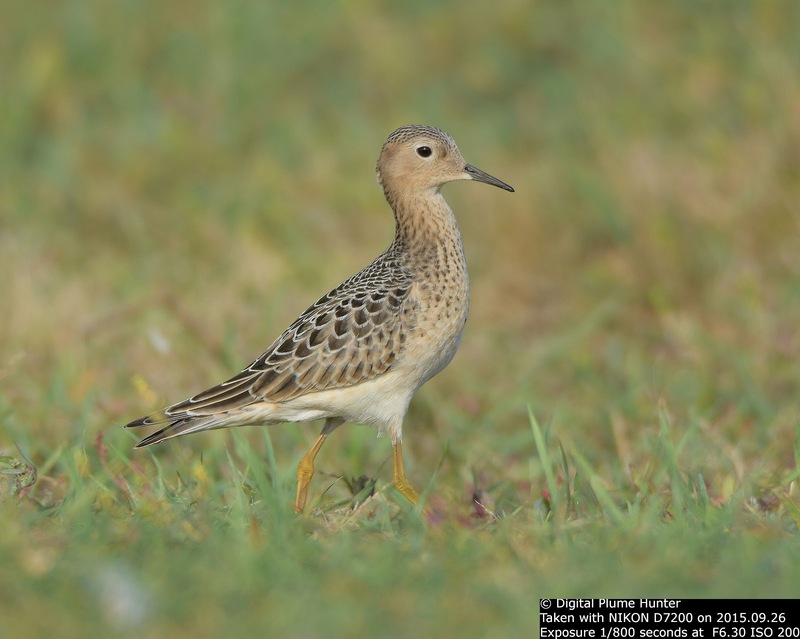 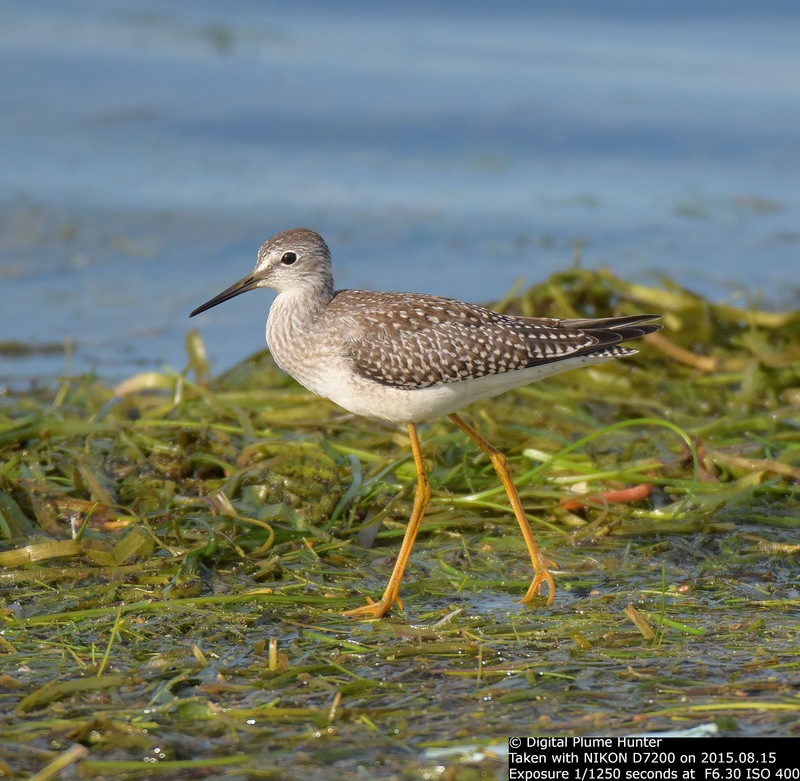 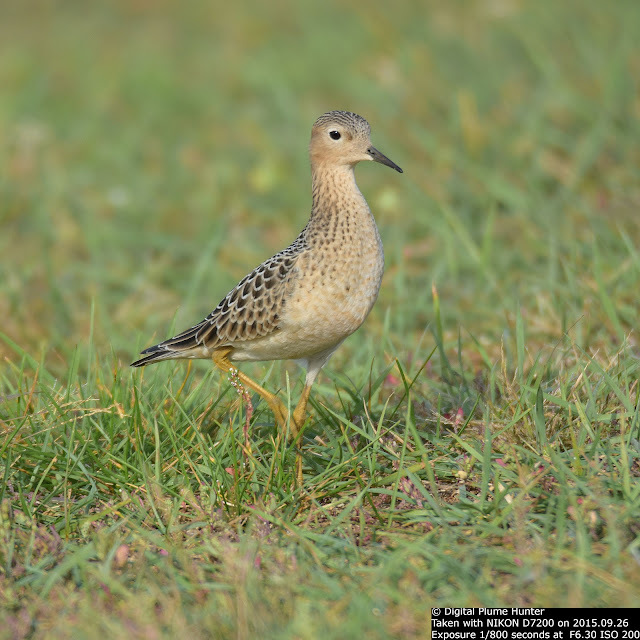 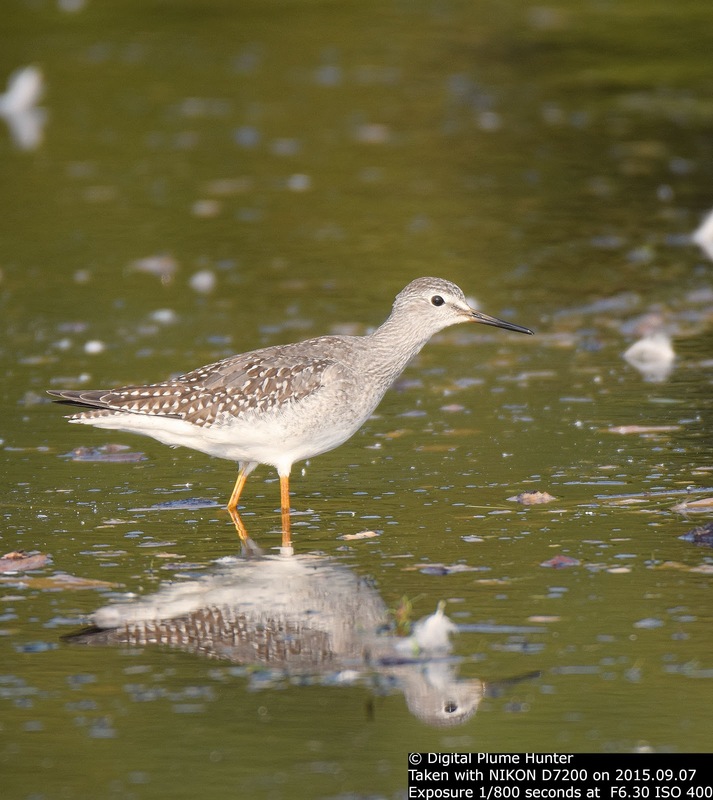 We start with Buff-breasted Sandpiper: this is a "Near Threatened" shorebird whose populations have crashed due to the twin evils of hunting and habitat destruction. 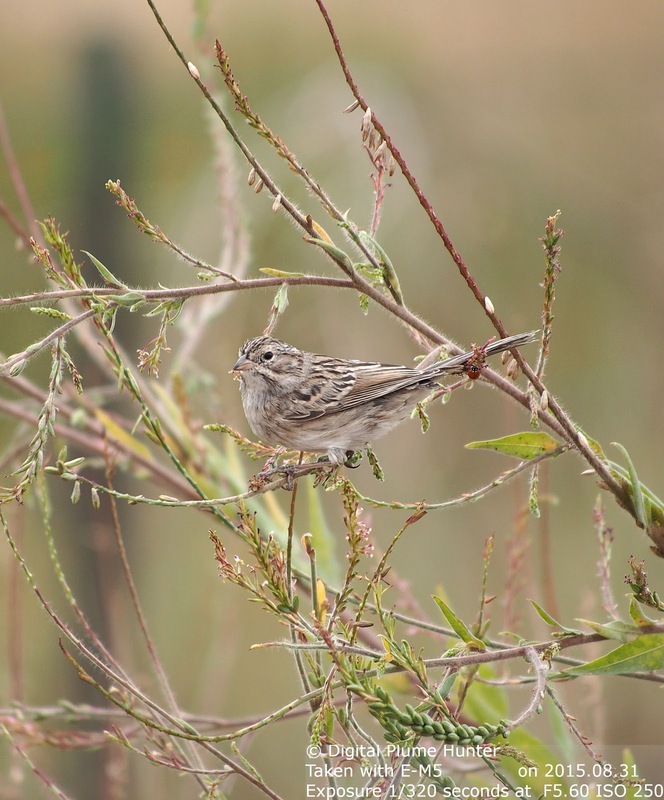 Once numbering in the millions, this delicate "grasspiper" was brought almost to the brink of extinction in the early 1900's. 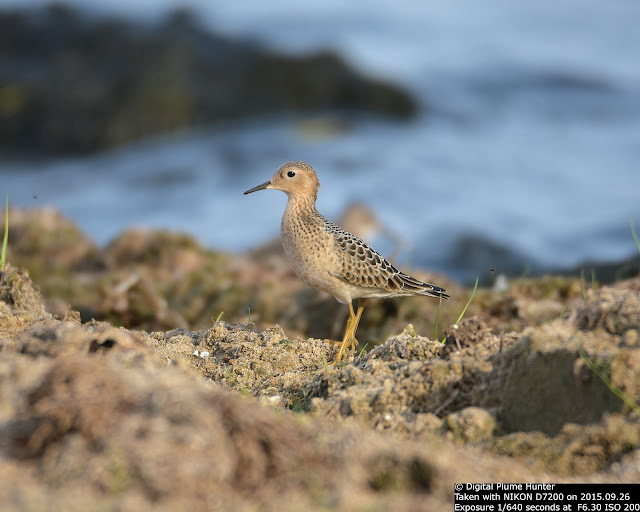 Even though populations have somewhat recovered, the Buff-breasted Sandpiper holds the ignominious distinction of featuring on the United States "State of the Birds 2014" watchlist for being most at risk of extinction without significant conservation intervention. 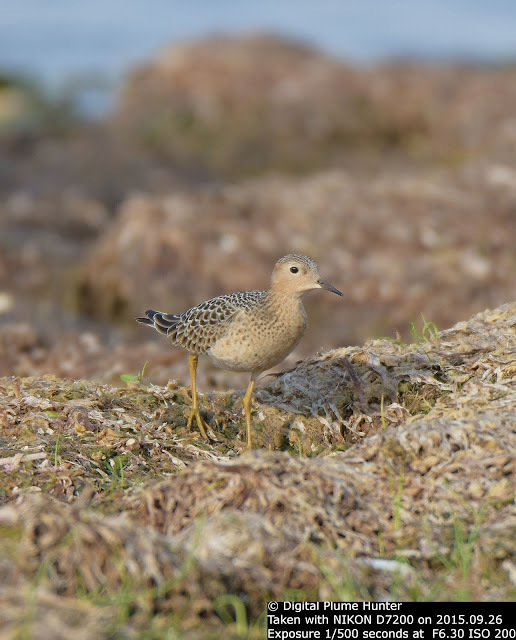 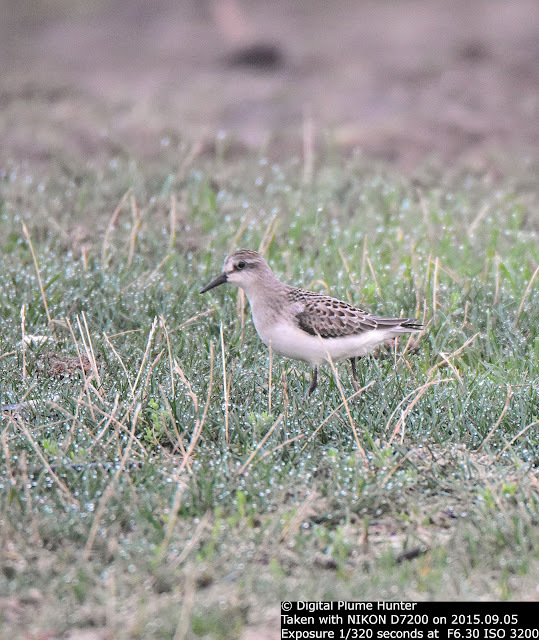 Shall we fail the Buff-breasted Sandpiper like we failed the Eskimo Curlew? 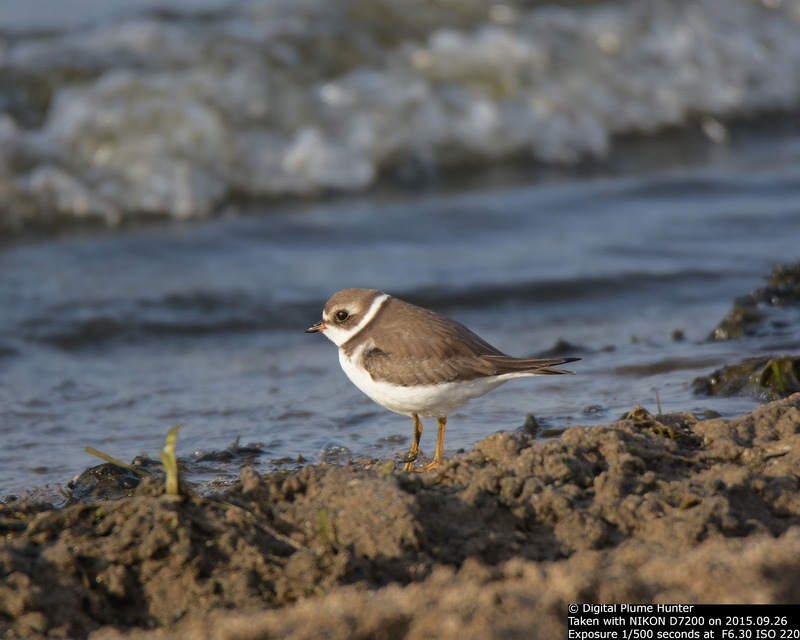 Described as the shorebird that looks like a plover with a dove's head, the Buff-breasted's demise would be an unthinkable tragedy for American birding. 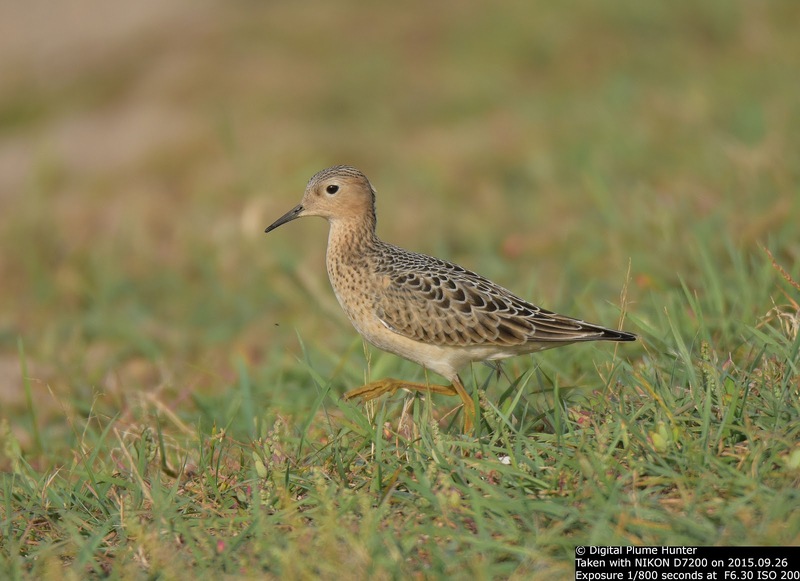 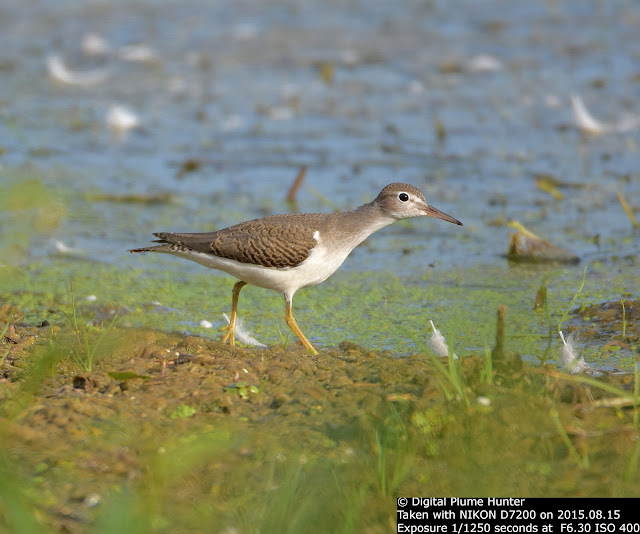 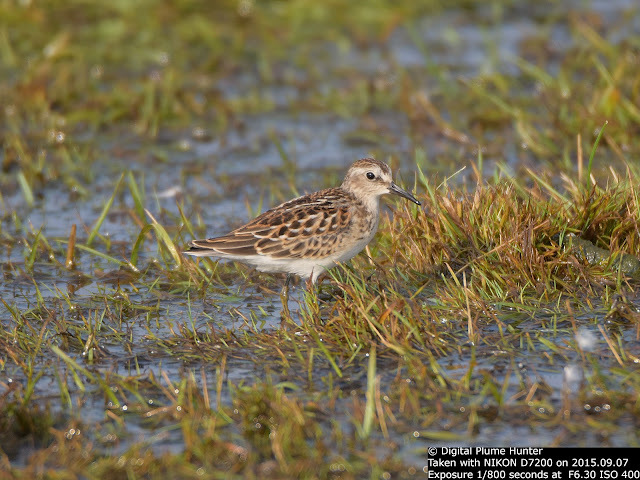 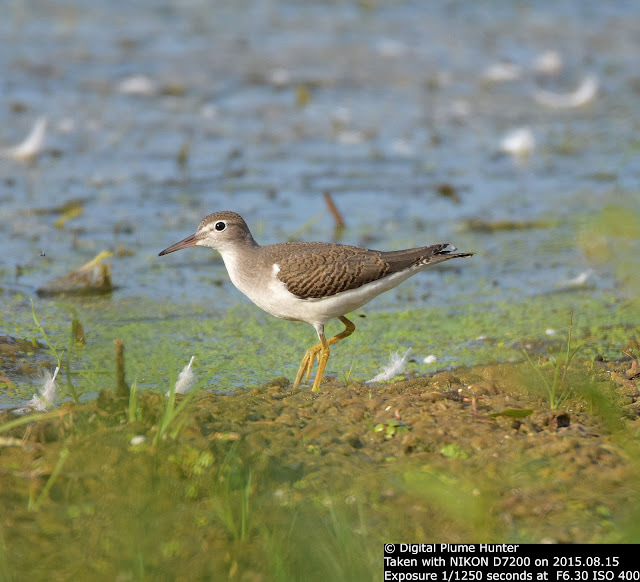 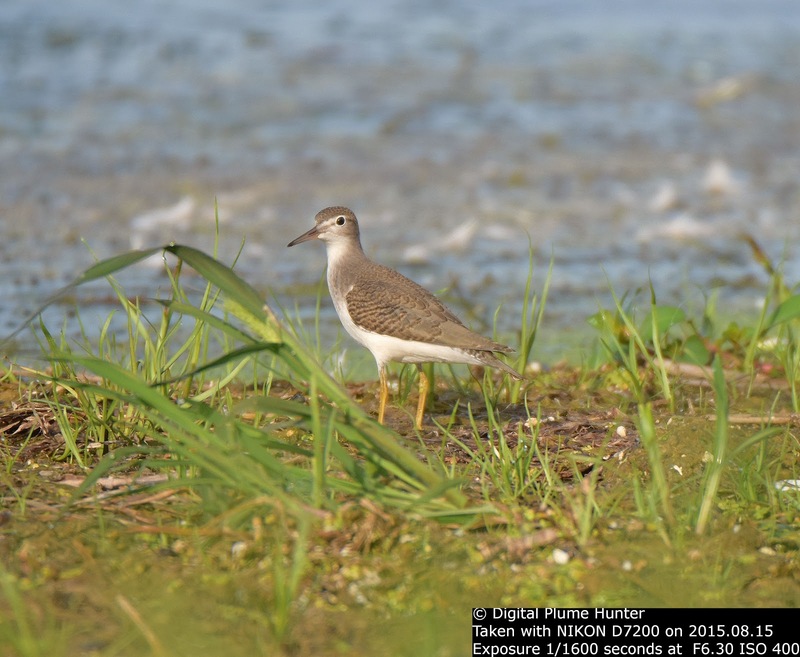 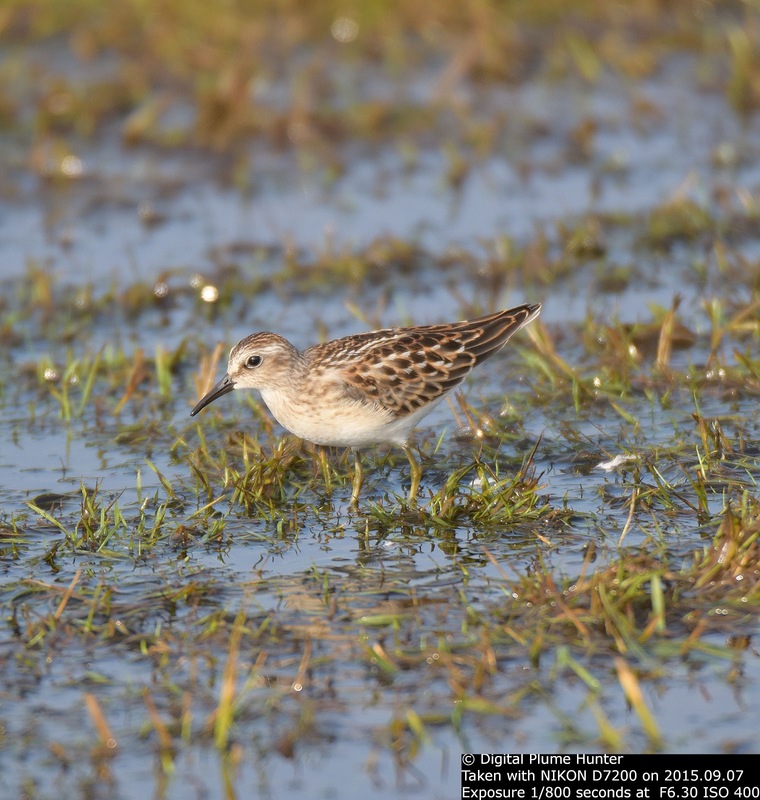 While seemingly common, Semipalmated Sandpiper is classified as "Near Threatened". This is an Arctic breeder that is strictly a passage migrant in the US -- it undertakes marathon flights to get to South America where it overwinters. 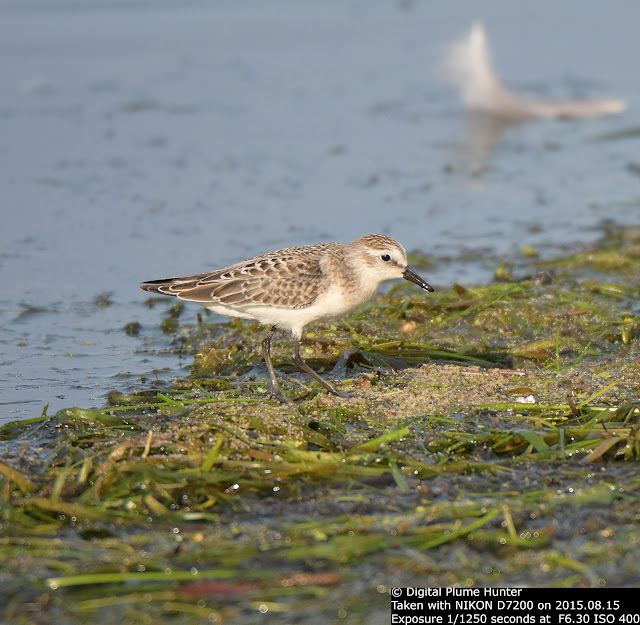 The Semipalmated Sandpiper was the subject of heinous misidentification for decades -- being confused with the Western Sandpiper with which it shares the feature for which it is named -- partial webbing between the toes of its feet. Shorebirds in migration can congregate in the thousands -- a fact that was not lost to those who would do them harm. Even today, the populations of our shorebirds, especially on the East Coast, are but a shadow of their former abundance. All the more reason to treasure our iconic yet imperiled shorebirds such as the Buff-breasted Sandpiper and the Semipalmated Sandpiper.